"It was hard-earned and not the easiest thing to do, and something really drastic had to come along to say, 'Wake up! Like, come on. You know, you're working seven days a week and you're taking care of everybody. What are you doing for Tina?' And it was very little. "<br>-Tina Knowles Lawson <br>I’m so delighted this morning to share with you one of my favorite moms to talk to – Ms. Tina Knowles Lawson. Tina is the mom of two incredible daughters who you’ve probably heard of -- Beyonce and Solange Knowles. While her daughters’ careers have exploded before the public eye, Tina has always been there behind the scenes helping to make sure her daughters were properly managed, cared for and supported along the way. I always find my conversations with Ms. Tina – as we like to call her – to be insightful when it comes to exploring what it means to be a mom, how to raise strong women, and how to maintain your own voice and identity along the way.​ <br>If you’re looking for more inspiration and words of wisdom, then please sign up for my free weekly email newsletter - The Sunday Paper. 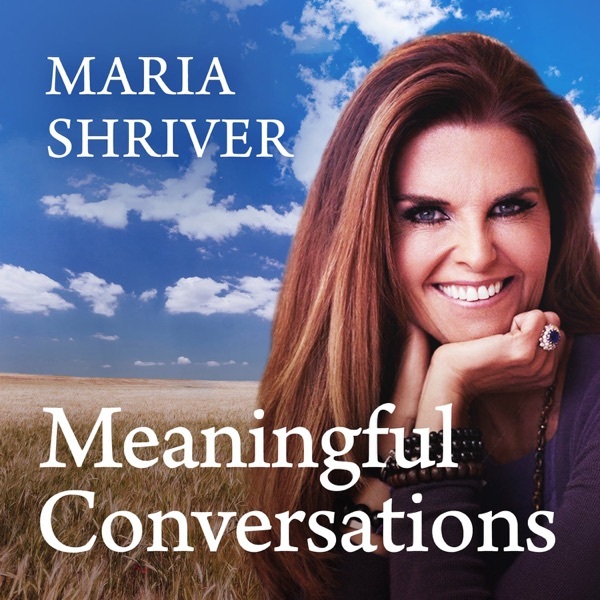 Visit website <a href="http://mariashriver.com/">mariashriver.com​</a> to subscribe. "I think because I've always defined myself since I was 12 years old as a child of God...That is what gives me self worth. Not Emmy Awards, not Tony nominations, not Grammy nominations. All of those things I've experienced, and they're lovely...But ultimately, at the end of a lifetime, it's, 'Who do you belong to? Whose image are you made in?' Because this life we live right here is temporal. "​<br><br>-Kathie Lee Gifford<br><br><br><br>Kathie Lee Gifford is a dear friend and someone whose career I've watched with admiration for many, many years. This week is her last at the today show, and while I'll be sad to lose her as a colleague, I'm super excited for her to embark on this next really creative chapter of her life. <br><br>I wanted to sit down with her for meaningful conversations because we have some of the most meaningful conversations early in the morning in the makeup room on the today show. And I got to thinking that most people don't get to see the Kathie Lee Gifford that I get to see early in the morning, the one who wakes up and talks about family and that talks about the Bible and who memorizes all of these verses and who's a really multifaceted person, who kind of has these ideas and barrels through and makes them reality. <br><br>So I wanted you to hear from her directly. And even though she's leaving the today show, she's not going to leave our consciousness. Enjoy!<br><br><br><br>If you’re looking for more inspiration and words of wisdom, then please sign up for my free weekly email newsletter - The Sunday Paper. Visit website <a href="http://mariashriver.com">mariashriver.com</a> to subscribe. &nbsp;"There's a great story in the Gospel of Luke...the story of Zacchaeus, the tax collector...and there's a line when Jesus reaches out to him, that says, 'all who saw it began to grumble,' and I often think, 'well, that's what's going on in our church, and online.' People don't like the fact that we're being merciful and they're grumbling. So frankly, it seems to me there's two places to stand: you can stand with Jesus who offers people mercy, or you can stand with the crowd who grumbles." -Father James Martin <br><br>Father James Martin is someone who I have admired for quite some time. He is a Jesuit priest, a bestselling author, and the editor-at-large of America Magazine. He’s also someone who isn’t afraid to speak up and speak out about the Catholic Church today. <br>Day in and day out, Father Martin uses his voice to advocate for refugees, migrants, the L.G.B.T. community, the environment, and more. His views aren’t always embraced by everyone, but I respect him for never wavering and for always standing up for what he believes. As a life-long Catholic, our conversation today is an important one to me because, well, it isn’t so easy to be Catholic these days. Father Martin’s perspective always gives me something to think about, and that’s why I wanted to share it with you here today. <br><br>If you’re looking for more inspiration and words of wisdom, then please sign up for my free weekly email newsletter - The Sunday Paper. Visit website <a href="https://url.emailprotection.link/?baVTjiHQ6kntxwp2HO7vNNerERekdSdr4V1-i6xWNEIwrnjrUgI-dqga5TaY93bpNH9o_45ixGG6ff4QS5U4Gdg~~">mariashriver.com</a> to subscribe. "I think motivation is a muscle. I think confidence is a muscle. I think tenacity is a muscle...And like any other muscle, you've got to keep working it out if you want to stay strong and grow it. "<br><br>-Jen Sincero<br><br>Jen Sincero is a badass. That’s the truth. Ever since she released her book “You Are a Badass: How to Stop Doubting Yourself and Live an Awesome Life” in 2013, Jen has been motivating and inspiring millions of people to wake up to their own potential and create the lives they want.<br><br>&nbsp;I wanted to talk to Jen for my podcast because I was sure she would bring a fresh perspective to the topic of finding purpose and meaning in our everyday lives. Jen delivers wisdom <em>and</em> a reality check in this episode that I can’t wait for you to hear what she has to say.<br><br> If you’re looking for more inspiration and words of wisdom, then please sign up for my free weekly email newsletter - The Sunday Paper. Visit my website <a href="https://url.emailprotection.link/?aUHJUgoCuqUJ8xGZAmHWrr8lO3oU3Kq-s3jqDurHeCAk~">mariashriver.com</a> to subscribe. “I think it's the little, tiny things that you do to try to be an authentic person that incrementally chip by chip, by chip, by chip, by chip, one day there's enough weight on the scale. Now, the scale goes in your favor. For me, it's being able to look back at what I've been able to do in my life. I can see the value in it whether it's my marriage, my boys, their accomplishments, the things that I've done as a public figure, who I am as a person including all my flaws, but eventually, all of that becomes enough.”- Rob Lowe<br><br>Rob Lowe is a man who requires little introduction. He’s an award-winning actor, director, producer, author, husband and a proud dad. And, you may not know this, but he’s also one of my dearest friends.<br><br>I wanted to kick off my podcast series with Rob because I knew we could talk candidly about the issues that so many of us are facing in our relationships, our families, our careers, and our inner lives.<br><br>Rob has lived through it all and has remained grounded and fully focused on the things that truly matter- living in authenticity, being a positive person and putting family first. <br>“I'm not a good giver-upper.” - Rob Lowe <br><br>If you’re looking for more inspiration and words of wisdom, then please sign up for my free weekly email newsletter - The Sunday Paper. Visit website <a href="https://url.emailprotection.link/?aUHJUgoCuqUJ8xGZAmHWrr8lO3oU3Kq-s3jqDurHeCAk~">mariashriver.com</a> to subscribe.